Drape your neckline with the look of diamonds and pearls that will let your light shine. Unique quality jewellery from Hello Lovers Australia. 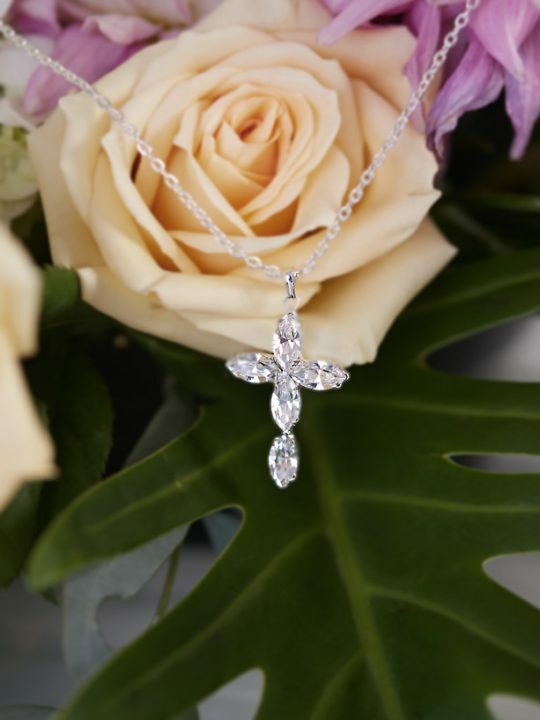 A part of the Eden collection this unique silver wedding necklace will glimmer and sparkle to your wedding dress. Made from quality pearl and diamontie ingredients and blended together to make this pretty and complimentary jewellery piece. With one feature Autumn leaf on each side of the feature centre piece coming down as a drop. Features of this silver wedding necklace. Wear with our Eden wedding earrings that have been designed with the same intricate pattern. Or maybe the Eden bridal bracelet is a bridal jewellery option that many brides overlook however it draws attention to that gorgeous engagement ring on your finger. 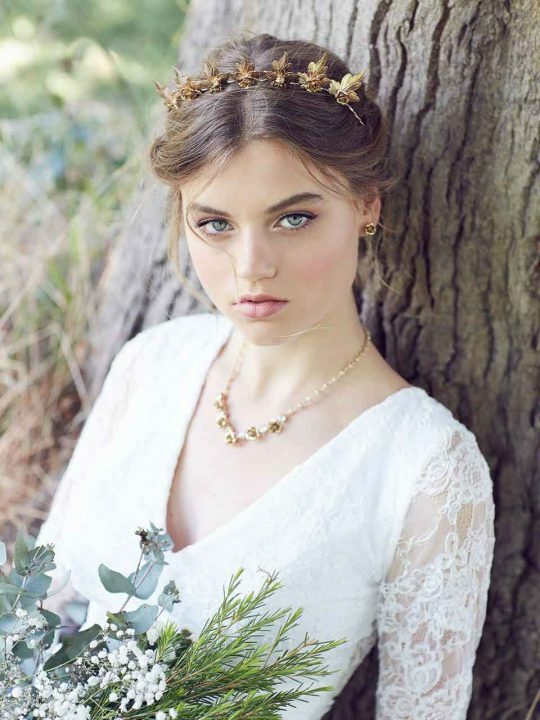 Other bridal jewellery pieces in this collection. If you are planning to wear a veil for you ceremony and are planning to take it off at the reception then consider an Eden hair comb in silver. It will leave a nice touch of detail in your bridal hair style. All small bridal jewellery pieces come presented in our exclusive silk pink box and sent by express post. Why not gift these items to your bridesmaids on a will you be my bridesmaid card. Or your mother or mother in law on the evening before your wedding day. Or team them with one of Hello lovers Australia’s vintage style lace wedding dresses to complete the perfect look.